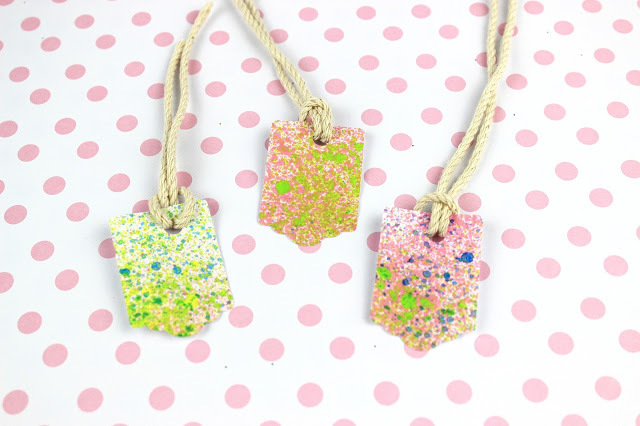 Diy Spray Painted Label Tags! A beautiful idea for colorful wrapping and not only! Happy September my friends! Autumn is officialy here, but to be honest, I am still in Summer mood! However, September means also back to school so let’s prepare a few crafts for our little students! Label Tags, that you can easily use them as Gift Tags too, to start with something easy, funny and with the help from our kids! I do not know about you, but my little princess always loses her staff… yes she is a kid I know. So last year we needed a few label tags for our food bag and for our school bag, so this year we tried to be ready! We prepared our Pencil Case and of course the Bookmarks are ready, so let’s make a few Label Tags, with color and with our name on it! The procedure is actually really easy, but prepared to have a small mess around. In order to avoid this, just clear the space and use also a baking paper to protect your table…. 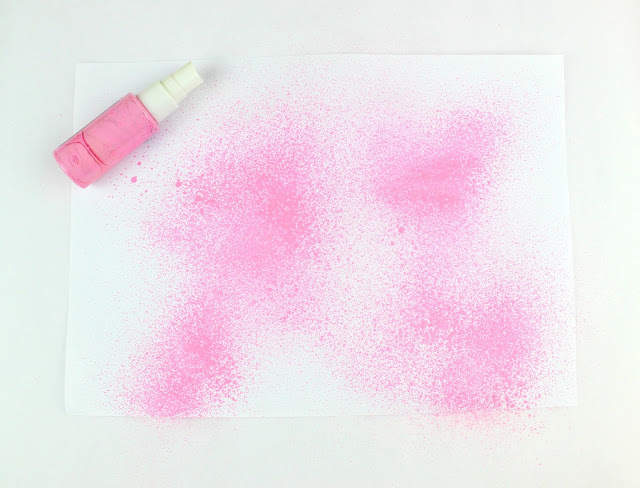 because our little helpers might be entusiastic with this diy and you know… paint around! 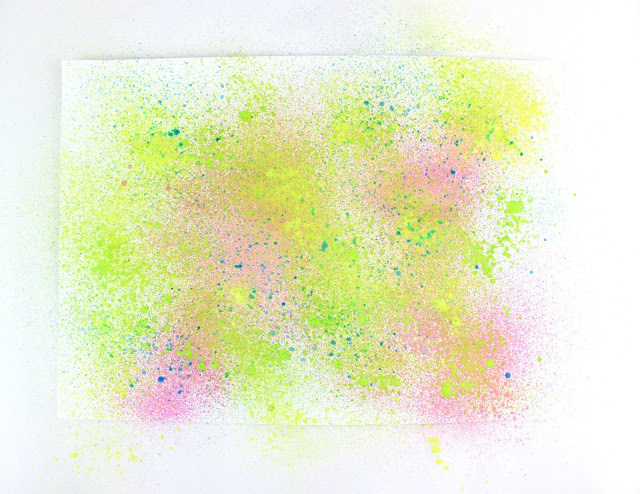 Put your paper board on the bakinf paper and add in your spray bottle the acrylic paint with water. Do not add much water, since we want the paper not to be that wet and to dry soon. Let’s the fun part to begin! Spray in your paper. Change color and Spray more… and do that as many times as tou wish with your favorite colors. We have used yellow, pink, blue and light green. Let it dry and our paint is ready! Use your paper puncher and cut your labels. With the small puncher make holes and pass your ribbon or cord. The label tags are ready! – As you may understand, these labels are not resistand to water. If you wish to have that kind of labels, then try to use insted of the paper board, one use paper plates, you know the plates we use for parties! They are still paper but more anthectic to water. 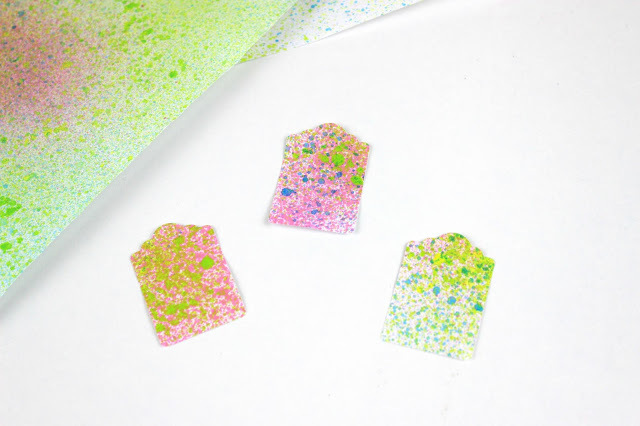 – If you just want to make gift tags and you use the common white paper, be prepared to have a dried painted paper that is not flat. Just use two heavy books to make it more smooth. Ok… Label tags are ready… actually we can also use them as Gift tags (like the other Gift Tags we have prepared in the past) so… next post please with another diy soon! Have fun! αν και δε θελω καθολου να ξεκινησουν τα σχολεια….οντως πρεπει να οργανωθουμε σιγα σιγα!!! Wow really so easy. I think even kids can make. You should apply for teacher position at this subject. Could be really fun for you. I am a childminder and always looking for simple crafts to do with the kids. This is great, thankyou for posting. 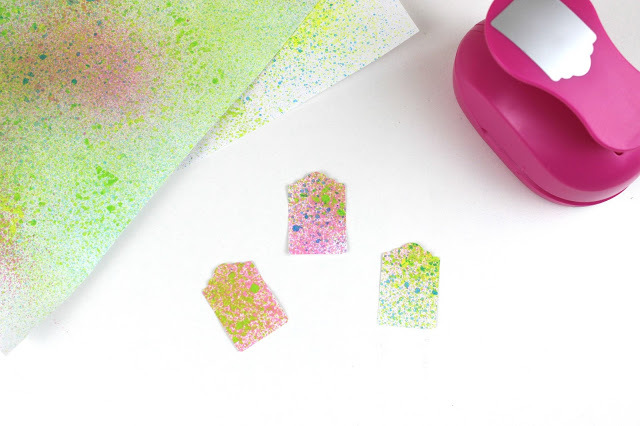 So cute and easy to do! My daugter just learn how to use a spray so she goes around spraying water. She could do this! Perhaps the name tags for the christmas gift! Nice, Simple, colourful and beautiful! I would want to do this with my kid for sure, a craft as well as thing of use! This is a great idea for tags so that your daughter doesn't looses her bags anymore. They are so pretty and easy to make! I love the creativity of making these tags. I can tackle this project in a breeze because of its simplicity and besides I have all the tools needed..Yes!! Thanks for sharing. 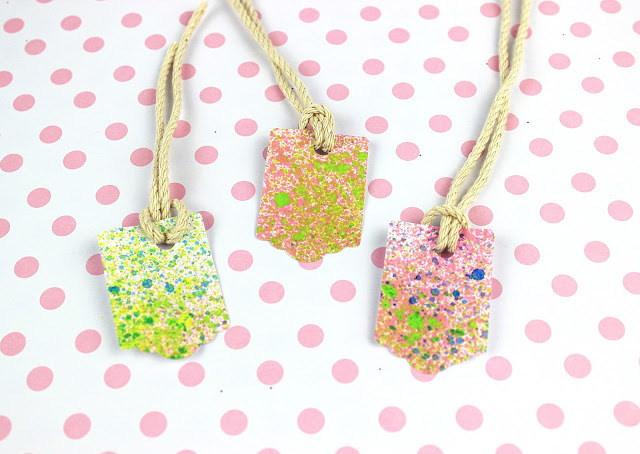 I create gift tags very similar to these with watercolors and everyone loves them! I'll try to use the spray paint as well, they look great! Wonderful things and wonderful post. This is something different to see today. I've also used spray paints for various purposes but never thought of using it in tags. Thanks for sharing. I love this kind of pop of colors patterns. With spray paints there are so many beautiful options in colours and the result seems to be super cool. Very creative and easy DIY to create these beautiful tags. this seems amazing craft work to do with kids. Great fun post. I love DIY crafts and if its suitable for the kids all the better. I love the idea of making practical useful things too that can be used all year round.These tags can be used for Xmas, Easter etc. Very Beautiful and easy to make these hand labels. They would really look nice in birthday party gifts and can be customized according to color themes also. Wow what lovely and unique tags, and so easy to make. I've been wanting to try the spray paint bottle method because I love how the spray paint comes out and looks on paper. Will be trying this for upcoming gifts. Α τι χαρούμενη ιδέα! Καλό Σεπτέμβρη να έχουμε! How cute are these nifty little tags, perfect for the kids returning to school.